opportunities to progress at the same pace as the rest of the citizenry. As a result, as part of the Indian system of Protective Discrimination, there exist certain special privileges granted to this category of citizens, such as reservation of seats in the Legislatures and in the Government Service, waiving off a part or the whole of the fees for admission to schools and colleges, quotas in educational institutions, relaxation of upper age limits for applying to certain jobs, etc. To be able to avail the privileges reserved for a particular caste, a citizen belonging to the caste must be in possession of a valid Caste Certificate. Article 338 of the Constitution of India mandates the constitution of a National Commission for Scheduled Castes and Article 338A mandates the constitution of a National Commission for Scheduled Tribes. It is evident from Article 338 as it originally stood, that the Commission was constituted to protect and safeguard the persons belonging to scheduled castes and scheduled tribes by ensuring : (i) anti- discrimination, (ii) affirmative action by way reservation and empowerment, and (iii) redressal of grievances. The duties under clause 5(b) of Article 338 did not extend to either issue of caste/tribe certificate or to revoke or cancel a caste/tribe certificate or to decide upon the validity of the caste certificate. Having regard to the sub-clause (b) of clause (5) of Article 338, the Commission could no doubt entertain and enquire into any specific complaint about deprivation of any rights and safeguards of Scheduled Tribes. When such a complaint was received, the Commission could enquire into such complaint and give a report to the Central Government or State Government requiring effective implementation of the safeguards and measures for the protection and welfare and socio-economic development of scheduled tribes. This power to enquire into `deprivation of rights and safeguards of the scheduled castes and scheduled tribes' did not include the power to enquire into and decide the caste/tribe status of any particular individual. In fact, as there was no effective mechanism to verify the caste/tribe certificates issued to individuals, the Supreme Court of India in Madhuri Patil vs. Addl. Commissioner (Tribal Development) - 1994 (6) SCC 241 directed constitution of scrutiny committees. The Supreme Court held that on account of false social status certificates being obtained by unscrupulous individuals, and cornering the benefits meant for SCs and STs, persons who genuinely belonged to scheduled castes/scheduled tribes were denied the benefit of reservation in posts/seats and other benefits extended to SCs and STs. 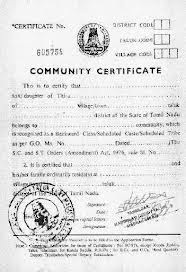 It therefore, felt that there was a need to streamline the procedure for issuance of social status certificate, their scrutiny and approval and issued the following directions : (1) The application for grant of social status certificate shall be made to the Revenue-Sub-Divisional Officer and Deputy Collector or Deputy Commissioner and the certificate shall be issued by such Officer rather than at the Officer, Taluk or Mandal level. (2) All the State Governments shall constitute a Committee of three officers, namely, (I) an Additional or Joint Secretary or any officer higher in rank of the Director of the concerned department, (II) the Director, Social Welfare/Tribal Welfare/Backward Class Welfare, as the case may, and (III) in the case of Scheduled Castes another officer who has intimate knowledge in the verification and issuance of the social status certificates. In the case of the Scheduled Tribes, the Research Officer who has intimate knowledge in identifying the tribes, tribal communities, parts of or groups of tribes or tribal communities. (3) Each Directorate should constitute a vigilance cell consisting of Senior Deputy Superintendent of Police in over all charge and such number of Police Inspectors to investigate into the social status claims. The Inspector would go to the local place of residence and original place from which the candidate hails and usually resides or in case of migration to the town or city, the place from which he originally hailed from. The vigilance officer should personally verify and collect all the facts of the social status claimed by the candidate or the parent or guardian, as the case may be. He also should examine the school records, birth registration, if any. He should also examine the parent, guardian or the candidate in relation to their caste etc. or such other persons who have knowledge of the social status of the candidate and then submit a report to the Directorate together with all particulars as envisaged in the proforma, in particular, of the Scheduled Tribes relating to their peculiar anthropological and ethnological traits, deities, rituals, customs, mode of marriage, death ceremonies, method of burial of dead bodies etc. by the concerned castes or tribes or tribal communities etc. (4) On receipt of the report from the vigilance officer the entire matter should be placed before the Scrutiny Committee and the Committee should issue show cause notice supplying a copy of the report of the vigilance officer to the candidate by registered post with acknowledgement due or through the head of the concerned educational institution in which the candidate is studying or employed. The inquiry should be completed as expeditiously as possible preferably by day-to-day proceedings within such period not exceeding two months. If after inquiry, the caste Scrutiny Committee finds the claim to be false or spurious, they should pass an order cancelling the certificate issued and confiscate the same. It should communicate within one month from the date of the conclusion of the proceedings the result of enquiry to the parent/guardian and the applicant. The Supreme Court thus formulated a scheme for verification of tribal status and held that any application for verification of tribal status as a scheduled tribe should be carried out by such Committees. The verification of the validity of caste certificates and determination of the caste status should therefore be done by the Scrutiny Committees constituted as per the directions in Madhuri Patil or in terms of any statute made by the appropriate government in that behalf. What is a franchise business? It is a business in which the owners, or franchisers, sell the rights to their business logo and model to third parties, called franchisees. Examples of well-known franchise business models include Baskin Robbins, Subway, McDonald's, TGI Friday's, Taco Bell, Pizza Hut, Dominos Pizza, Ruby Tuesdays, Barista, Costa, Wetzel Pretzel, Papa John's and KFC. Beauty and Health Care Fitness clubs such as VLCC and Talwalkers have established chains while hair and beauty salons offering domestic branded products including Shanaz Hussein, Biotique and Habibs, and international brands, for example, L'Oreal and Tony & Guy, have marked their presence through the franchise model. There are many different types of franchises. 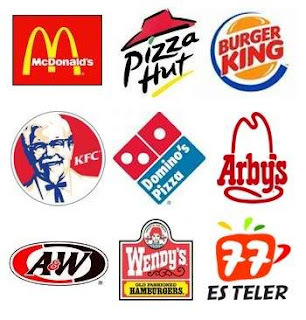 Many people associate only fast food businesses with franchising. In fact, there are over 120 different types of franchise businesses available today, including automotive, cleaning & maintenance, health & fitness, financial services, and pet-related franchises, just to name a few. Franchising has become one of the most popular ways of doing business in today's marketplace. How to start a franchise business in India? 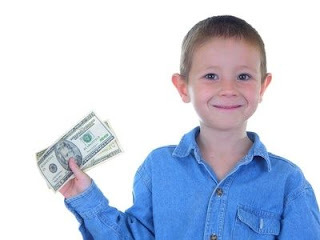 To invest in a franchise, the franchisee must first pay an initial fee for acquiring the rights to the business, training, and the equipment required by that particular franchise. Thereafter, the franchisee will generally pay the franchise business owner an ongoing royalty payment, either on a monthly or quarterly basis. This payment is usually calculated as a percentage of the franchise operation’s gross sales. As a first step to start the franchise business a contract will have to be signed by the parties. After the contract has been signed, the franchisee will open a replica of the franchise business, under the direction of the franchiser. The franchisee will not have as much control over the business as he or she would over his or her own, but may benefit from investing in an already-established brand. Generally, the franchiser will require that the business model stay the same. For example, the franchiser will require the franchisee to use the uniforms, business methods, and signs or logos particular to the business itself. The franchisee should remember that he or she is not just buying the right to sell the franchiser’s product, but is buying the right to use the successful and tested business process. The franchisee will also usually have to use the same or similar pricing, in order to keep the advertising streamlined. Apart from using the business model determined by the franchiser, the franchisee will otherwise remain an independent owner of the franchise. However, there are no laws enacted solely for the purpose of regulating the growing business of franchising in India, even though many nations across the world have enacted such laws. The result is that when franchisors enter India they are governed by a number of different statutes and codes like the Indian Contract Act, the Competition Act, 2002, the Trademarks Act, 1999 the Consumer Protection Act, 1986, the Foreign Exchange Management Act, 1999 etc., rather than a single comprehensive enactment. Therefore the parties proposing to enter into a franchise business should contact an experienced franchise attorney for assistance in order to comply with the legal requirements in India. Explanation.—In this section, the expressions 'father' and 'mother' do not include a step-father and a step-mother”. No court shall grant permission to the natural guardian to do any of the acts mentioned above except in case of necessity or for an evident advantage to the minor. Now, the question is whether any alienation made by a natural guardian without previous permission of the court is illegal for ever. Under Section 8 (3) any disposal of immovable property by a natural guardian, in contravention of the above provisions is voidable at the instance of the minor or any person claiming under him. Therefore the alienation is not void but it is voidable at the instance of the minor or any person claiming under him. If the minor, on attaining majority (18 years) chooses not to challenge the alienation, the alienation will be perfectly valid. 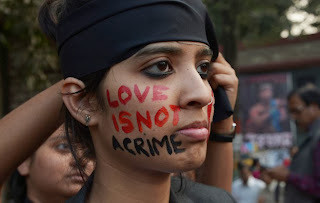 But, on the other hand, if he challenges the alienation, the validity of the alienation will be decided by the court. However, such a challenge should be made within 3 years after the attainment of majority. Any suit to set aside an alienation of minor’s property by the guardian filed more than three years after the attainment of majority is barred under Section-60 of the Limitation Act. Therefore the alienation cannot be challenged by a minor after three years from the attainment of majority. “Where one of several persons jointly entitled to institute a suit or make an application for the execution of a decree is under any such disability, and a discharge can be given without the concurrence of such person, time will run against them all; but, where no such discharge can be given, time will not run as against any of them until one of them becomes capable of giving such discharge without the concurrence of the others or until the disability has ceased. Explanation I - This section applies to a discharge from every kind of liability, including a liability in respect of any immovable property. The Full Bench of the Madras High Court has held that the claim being a joint claim and the suit having been brought more than three years after the attainment of majority by the elder brother (who was the manager of the joint family, competent to give discharge) the claim was barred by limitation even in respect of the share of the younger brother who had not yet completed 21 years. Therefore if the eldest male member and Manager of the Hindu Undivided Family does not file a suit within three years after his attainment of majority, he cannot do it after three years and the said disability would extend to the other younger members of the joint family also and they are barred from bringing any suit. This is because as the eldest member and manager, he is deemed to be capable of giving a discharge without the concurrence of the other members of the family.